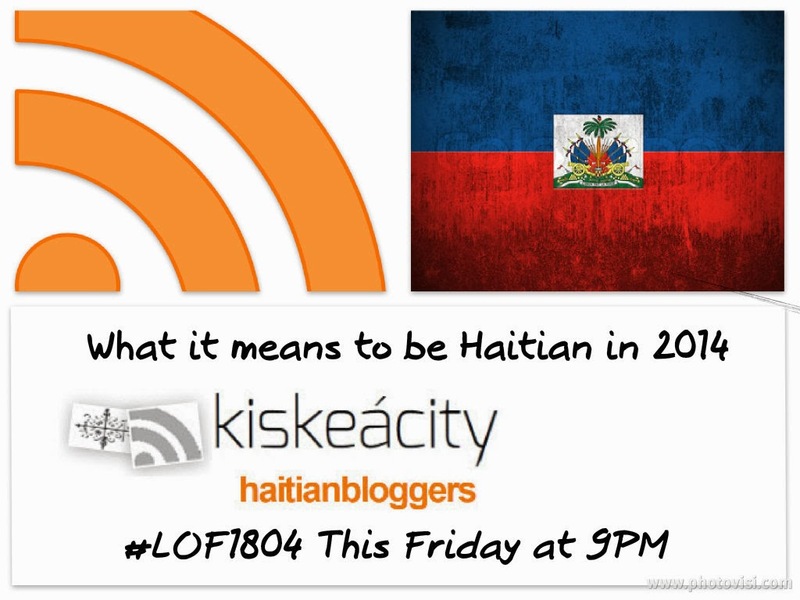 Lawyer and blogger Pascal Robert will join us to talk about his latest Black Agenda Report piece: "What Should it Mean to be Haitian in 2014?" Emerging painter Jennifer Calvin will discuss her up and coming Miami Exhibit. 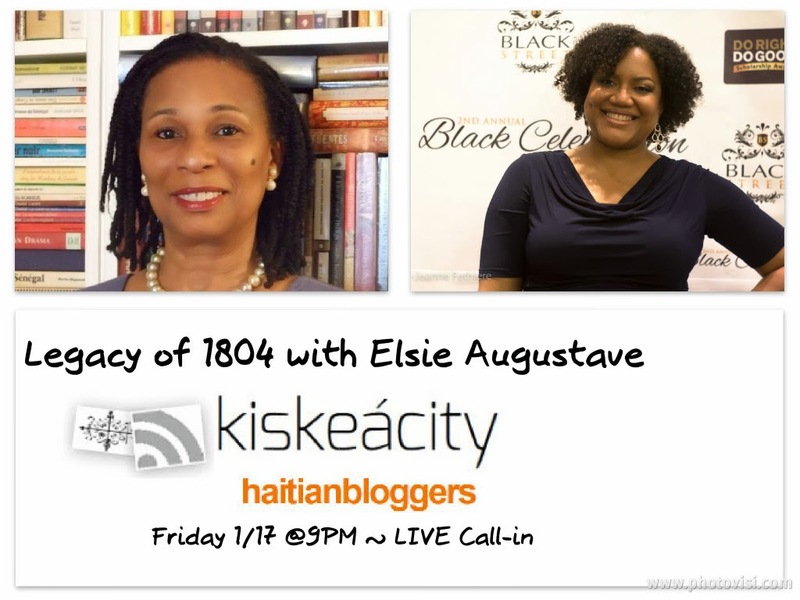 Listen Online http://www.blogtalkradio.com/blackwholeradio/2014/01/25/legacy-of-1804-on-what-should-it-mean-to-be-haitian-in-2014-haiti or on the phone at (323) 927-2913. Check me out with Prof. Patrick Delices on BK Live last tuesday to talk about commemorating independence and mourning Jan 12, 2010. Prof. Delices recently helped me dissect the Declaration of Independence on the first Legacy of 1804 of the year. 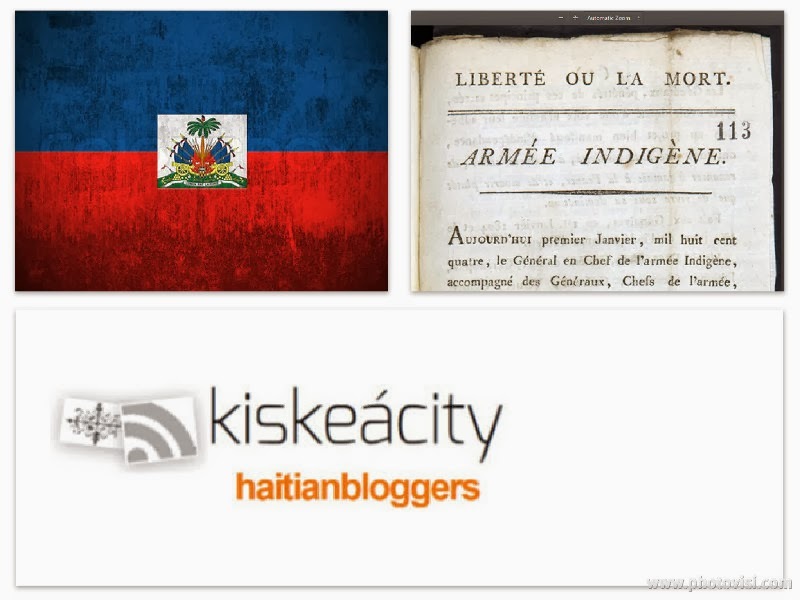 BK Live 1/7/14: Haitian Anniversaries from Brooklyn Independent Media on Vimeo. 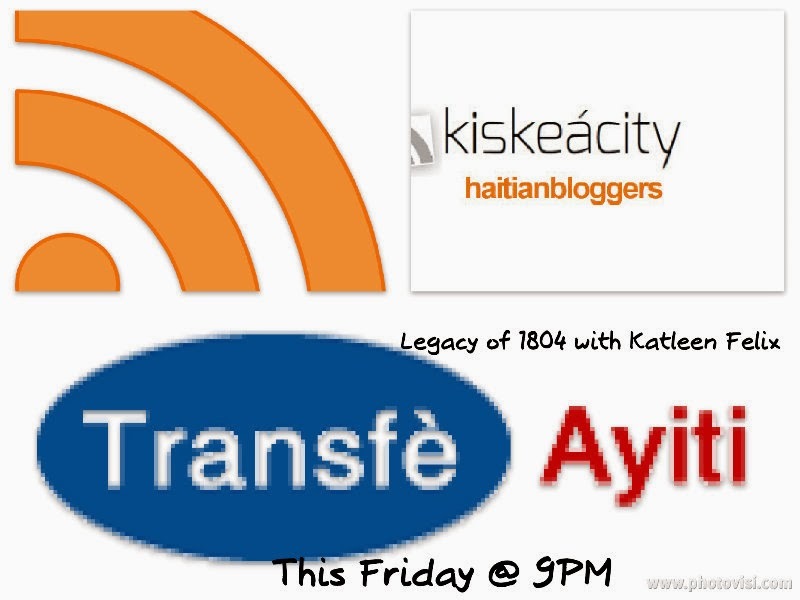 Join me this Friday at 9 PM as I welcome France born and Brooklyn raised Pascal Antoine to discuss the nuts and bolts of his recent move to Haiti despite having no close relatives there. Pascal Antoine is the founder of www.HaitiXchange.com, a multi-media website that features Haitian news and culture. He is a media entrepreneur, video editor, producer and voice-over actor. A graduate of the Massachusetts Institute of Technology, he was born in Paris, France and raised in Brooklyn New York by Haitian parents. He has recently decided to make Port-au-Prince, Haiti his home, following a lifelong desire to contribute to the country’s advancement from the source itself. 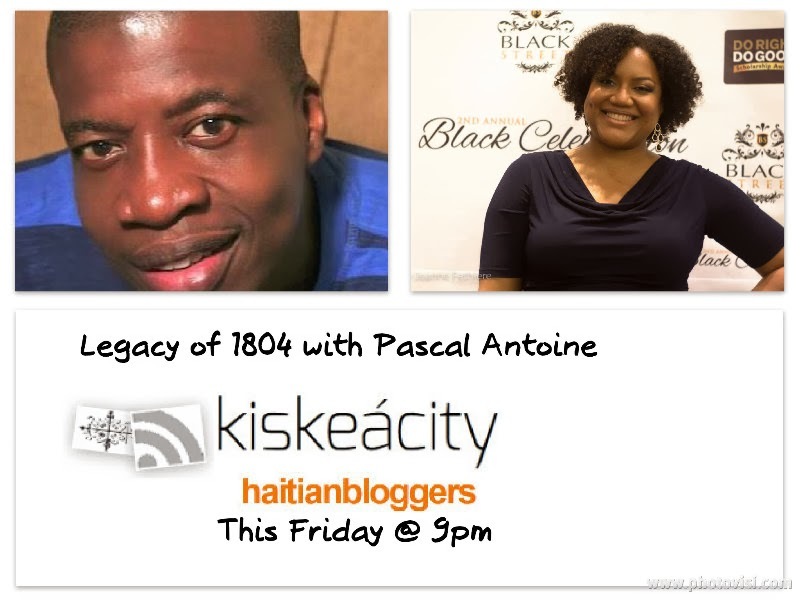 Listen Online http://www.blogtalkradio.com/blackwholeradio/2014/01/11/legacy-of-1804-with-guest-pascal-antoine-haiti or on the phone at (323) 927-2913. Professor Patrick Delices returns Friday Jan. 3rd at 9PM to discuss Haiti's founding Declaration of Independence and the history behind it. Listen Online http://www.blogtalkradio.com/blackwholeradio/2014/01/04/legacy-of-1804-haitis-founding-declaration or on the phone at (323) 927-2913.